Despite it being released in North America on November 6, 2018, I didn’t get my hands on a copy of Skyward by Brandon Sanderson until I unwrapped it on Christmas morning (you can check out my entire Christmas Book Haul here – I think it’s safe to say that my family knows I love books!). 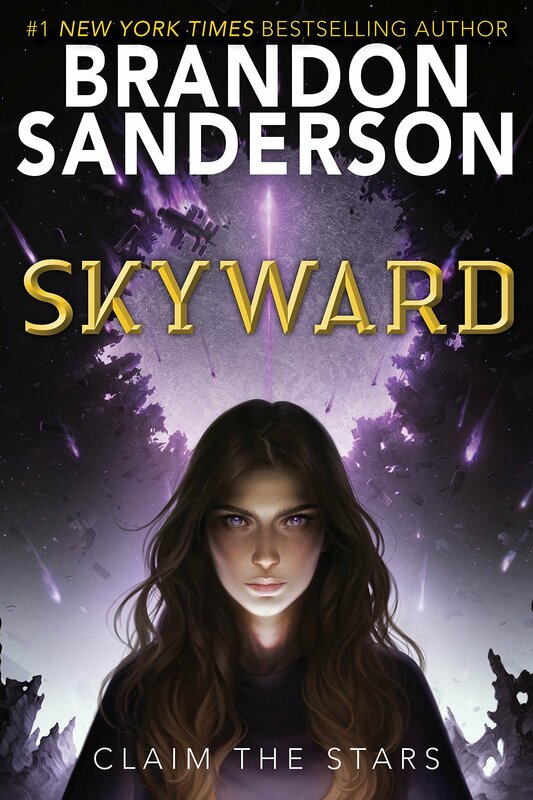 I am not normally a Brandon Sanderson fan, but with all the hype that Skyward has been getting, I simply couldn’t resist – and I am glad that I did end up reading it, because I simply loved it! Spensa’s world has been under attack for decades. Now pilots are the heroes of what’s left of the human race, and becoming one has always been Spensa’s dream. Since she was a little girl, she has imagined soaring skyward and proving her bravery. But her fate is intertwined with her father’s–a pilot himself who was killed years ago when he abruptly deserted his team, leaving Spensa’s chances of attending flight school at slim to none. No one will let Spensa forget what her father did, yet fate works in mysterious ways. Flight school might be a long shot, but she is determined to fly. And an accidental discovery in a long-forgotten cavern might just provide her with a way to claim the stars. Everyone in my family (and all of my friends) knows that I love to read, and so finding a couple books under the Christmas tree is a pretty sure thing! I am so excited to dive into these books (in fact, I’ve already read Sea Witch by Sarah Henning and I quite enjoyed it)! Below, you’ll find a breakdown of the books I received from friends and family as gifts, including links to their listings on Indigo! Set to release on October 30, 2018, The Darkest Star is Jennifer L. Armentrout’s newest novel set in the Lux universe. 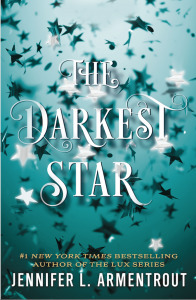 In The Darkest Star, Jennifer L. Armentrout brings her trademark drama and intrigue to a new romantic YA science fiction series, presenting readers with a girl confronted by long buried secrets, a betrayal that could tear lives apart, and a swoonworthy romantic interest with dark secrets of his own. DISCLAIMER: I received an Advance Reader Copy of this book from Raincoast Books in exchange for an honest review. In the world of the Lux, secrets thrive, lies shatter, and love is undeniable. Seventeen-year-old Evie Dasher knows firsthand the devastating consequences of humanity’s war with the stunning, otherworldly Luxen. Evie was just a kid when the aliens were defeated, but her life was forever changed when her father, Sergeant Jason Dasher, was killed during one of the deadly battles. When Evie is caught up in a raid at a notorious club known as one of the few places where humans and the surviving Luxen can mingle freely, she meets Luc, an unnaturally beautiful guy she initially assumes is a Luxen…but he is in fact something much more secret-and much more dangerous. Her growing desire to know about Luc will lead her deeper and deeper into a world she’d only heard about, revealing secrets long buried, a betrayal that could tear her life apart, and an attraction that could be the very end of her. Who else is celebrating the fact that the school year is over? I know I am! I’ve had an amazing few weeks at my first-ever teaching job, but jumping into teaching right after an exhausting (and rewarding) year of Teacher’s College means that I am more than ready for a bit of a break – even if I am still working at camp this summer! I managed to get a decent amount of reading done in June – I finished several books, including They Both Die at the End by Adam Silvera, Onyx and Ivory by Mindee Arnett, The Boneless Mercies by April Genevieve Tucholke, Smoke in the Sun by Renee Ahdieh, and Whisper of the Tide by Sarah Tolscer. While working at camp means that I am busy, I will not be nearly as busy as I was during school, which means that I am hoping to find myself with a bit more time for reading, reviewing and photography – among other things. I have once again put together what is undoubtedly an overly optimistic reading list for June 2018. This lists includes some books from previous months I simply haven’t had a chance to read yet, books I received for my birthday, and some exciting new releases I am hoping to get my hands on! Please note that all release dates reflect release dates in North America, as listed by Indigo. What will you be reading this month? Let me know! After a very busy April and May, I am happy to report that I am now officially done university (next up: Convocation! ), and I am now working. While this means that I am still relatively busy, I am hoping to find myself with a bit more time for reading, reviewing and photography, among other things. I even managed to get a decent amount of reading done in May – I finished several books, including Ash Princess by Laura Sebastian, Stormcaster by Cinda Williams Chima, War Storm by Victoria Aveyard, A Court of Frost and Starlight by Sarah J Maas, The Girl You Thought I Was by Rebecca Phillips, and The Bird and the Blade by Megan Bannen! I am hoping to have reviews available for all of those I haven’t yet reviewed in the next couple weeks, so stay tuned! After all that reading, my To Be Read basket is feeling a little empty! So (of course), I have once again put together what is undoubtedly an overly optimistic reading list for June 2018. This lists includes some books from previous months I simply haven’t had a chance t read yet, in addition to some exciting new releases! *Please note that the above listed release dates reflect Canadian/North American Book Releases, and may not be accurate for international locations. 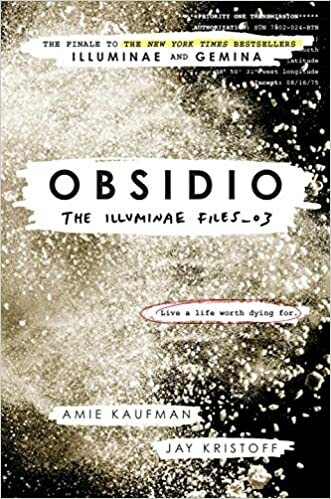 Obsidio by Amie Kaufman and Jay Kristoff, released in North America on March 13, 2018, was perhaps one of my most anticipated releases of 2018. Despite my initial apprehension, I ended up loving Illuminae, then Gemina, unable to tear my eyes away from the video logs, journal entries, chat logs, hand drawn images, and visually stunning word art, I fell in love with the unique style I once thought I would find jarring, and I could not wait to dive into this unique world in Obsidio once again. Kady, Ezra, Hanna, and Nik narrowly escaped with their lives from the attacks on Heimdall station and now find themselves crammed with 2,000 refugees on the container ship, Mao. With the jump station destroyed and their resources scarce, the only option is to return to Kerenza—but who knows what they’ll find seven months after the invasion? Meanwhile, Kady’s cousin, Asha, survived the initial BeiTech assault and has joined Kerenza’s ragtag underground resistance. When Rhys—an old flame from Asha’s past—reappears on Kerenza, the two find themselves on opposite sides of the conflict. With time running out, a final battle will be waged on land and in space, heroes will fall, and hearts will be broken. I am very excited for February 2018 – some of my most anticipated books for the early part of the year are coming out this month, including Tempests and Slaughter by Tamora Pierce (February 6, 2018) and Sightwitch by Susan Dennard (February 13, 2018)! It may be a busy month, but I know I’ll find time to read, because between these new releases and the books still remaining on my TBR, I’ve got tons of good content to get reading! That being said, for February I’ve put together a list that combines the books I already own with a few upcoming releases that I am excited to add to my TBR pile! What will you be reading this month? Let me know in the comments – I am always looking for more books to add to me TBR (even if I shouldn’t be!). 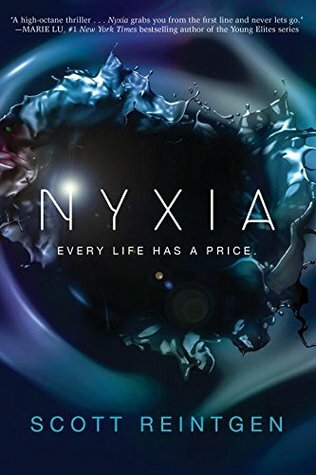 Released in North America on September 12, 2017, Nyxia by Scott Reintgen is a “high-octane thriller” that “has the nonstop action of The Maze Runner and the high-stakes space setting of Illuminae” . YA Sci-Fi fans are definitely going to want to read this one – from the settings, to the plot, to the characters, everything about Nyxia screams Sci-Fi from the very first page until the very last. What would you be willing to risk for a lifetime of fortune? Emmett Atwater isn’t just leaving Detroit; he’s leaving Earth. Why the Babel Corporation recruited him is a mystery, but the number of zeroes on their contract has him boarding their lightship and hoping to return to Earth with enough money to take care of his family. Forever. Before long, Emmett discovers that he is one of ten recruits, all of whom have troubled pasts and are a long way from home. Now each recruit must earn the right to travel down to the planet of Eden—a planet that Babel has kept hidden—where they will mine a substance called Nyxia that has quietly become the most valuable material in the universe. But Babel’s ship is full of secrets. And Emmett will face the ultimate choice: win the fortune at any cost, or find a way to fight that won’t forever compromise what it means to be human. Released in North America on January 2, 2018, Batman: Nightwalker by Marie Lu is a new, eagerly anticipated Batman story that is an action-packed thrill ride from beginning to end. Batman: Nightwalker is the second of a series of DC Icons books, inspired by some of the most well-known DC Superheroes of all-time. This new series features megastar young adult authors Leigh Bardugo (Wonder Woman), Marie Lu (Batman), Sarah J. Maas (Catwoman), and Matt de la Peña (Superman). Before he was Batman, he was Bruce Wayne. A reckless boy willing to break the rules for a girl who may be his worst enemy. The Nightwalkers are terrorizing Gotham City, and Bruce Wayne is next on their list. The city’s elites are being taken out one by one as their mansions’ security systems turn against them, trapping them like prey. Meanwhile, Bruce is about to become eighteen and inherit his family’s fortune, not to mention the keys to Wayne Industries and all the tech gadgetry that he loves. But on the way home from his birthday party, he makes an impulsive choice and is sentenced to community service at Arkham Asylum, the infamous prison that holds the city’s most nefarious criminals. Madeleine Wallace is a brilliant killer . . . and Bruce’s only hope. The most intriguing inmate in Arkham is Madeleine, a brilliant girl with ties to the Nightwalkers. A girl who will only speak to Bruce. She is the mystery he must unravel, but is he convincing her to divulge her secrets, or is he feeding her the information she needs to bring Gotham City to its knees?